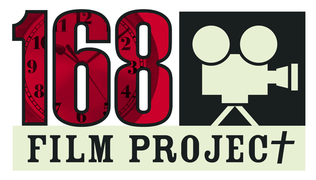 BURBANK, CA – 168 Film (http://168film.com) announced the call for entries for the 13th annual 168 FILM PROJECT speed-filmmaking competition. The entry deadline is May 5, 2015. Participating films will screen at the state-of-the-art Regal Cinemas Premiere House at LA Live during the 168 Film Festival. This annual event will take place on Saturday and Sunday, August 29-30, 2015. For this year’s competition, Verse Assignment is May 12, and then Production and Post-Production Week is May 22-29. Entry fees are currently available at a special rate of $248 until April 13th, increasing to $298. Fees include festival tickets and admission to panels and networking events. Teams are responsible for all costs regarding their entry. Stories may be conceived in advance, but no writing may occur until the official Verse Assignment. Turn-in deadline (May 29) and total run time rules are strictly enforced. For complete details and to enter, please see http://168film.com. All completed films are screened during the 168 Film Festival. Actors wishing to be cast in one of the films can contact producers directly on Facebook or participate in VIP Mixers and an Actor’s Workshop-Showcase with Director Greg Michael in Los Angeles. See the official schedule at https://www.168film.com/calendar. “In the 168 Film Project, filmmakers receive a one of a kind, experiential jolt in both creativity and problem solving skills. Achieving mastery at this breakneck pace is predictive of future success and keeps teams coming back year after year,” said Founder and Director, John David Ware.